We are beginning to plot out our visitor journey for the Department for Transport funded project. Train passengers will travel from Liverpool Street (or Stratford) to Ipswich, then change to the Lowestoft line, alighting either at Melton or at Woodbridge. From Melton there is a short walk over the river bridge and then up the hill to the site of Sutton Hoo. Woodbridge, opposite the burial mounds, provides access to the waterfront and other visitor facilities such as restaurants and shops. 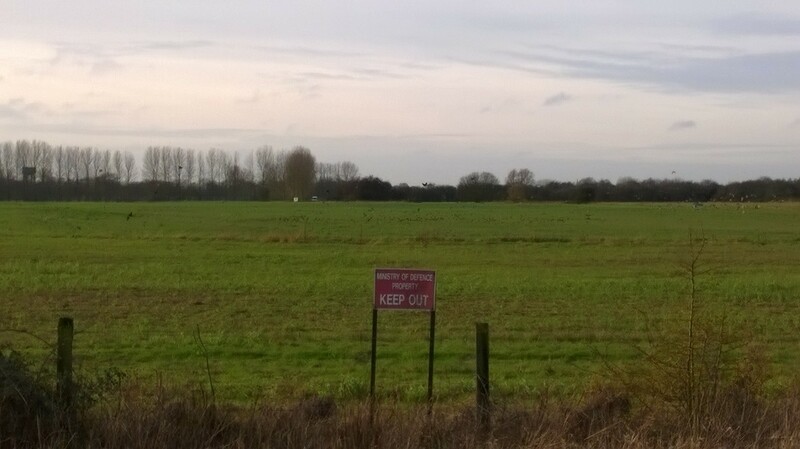 I took a walk yesterday around the eastern perimeter of the former RAF station at Oakington, along the new(ish) guided busway which links St Ives with Cambridge. This is itself built on the trackbed of a former railway line, features of which can still be seen in villages along the route. This is a complicated landscape, where aside from the historic and prehistoric remains in surrounding villages and fields, the meeting of past, recent past, present and future are being played out as the area gradually morphs into a newly created town, called Northstowe. Military sites are by their nature of being off limits interesting – they have their own language of architecture and design, and are usually hidden away from view. The site at Oakington has been airfield and barracks, and following decommissioning as a military site saw a new lease of life as an immigration reception centre during the 1990s. It is now about to be transformed again as part of a new settlement designed to ease pressure on housing in and around Cambridge. The site has come on to the radar (pun intended) of urban explorers (urbex), and fans of derelict and abandoned places, as well as military historians. 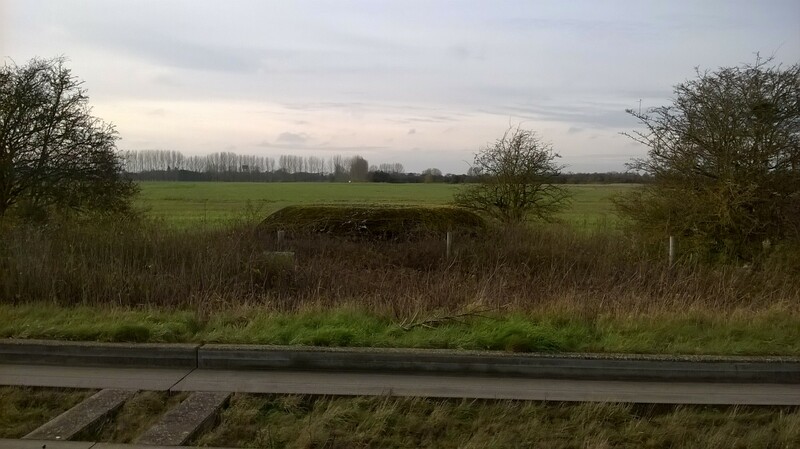 It can still be an interesting journey on the road which runs around the outside of the western perimeter of the site, linking Oakington and Longstanton – as the route is not officially designated as an open highway. Occasionally Police still stop people driving along the road, and on some maps the route still does not appear. In advance of the new town appearing, the abandoned railway line has metamorphosed into a new type of hybrid transport corridor, dedicated to buses, and having its own unique architectural design language. 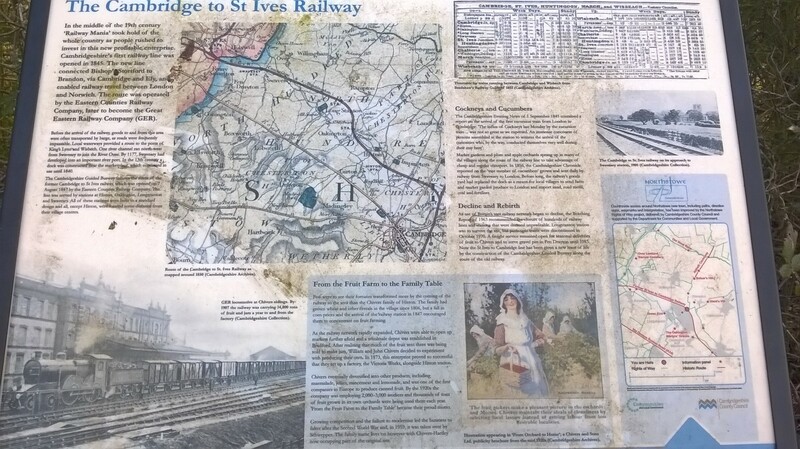 Tracks and footpaths in the surrounding fields have been opened up in a programme of recreation access and interpretation – and the example shown is an interesting example which blends past, recent, present and future. A hybrid heritage sign indeed which has already acquired the patina of age. 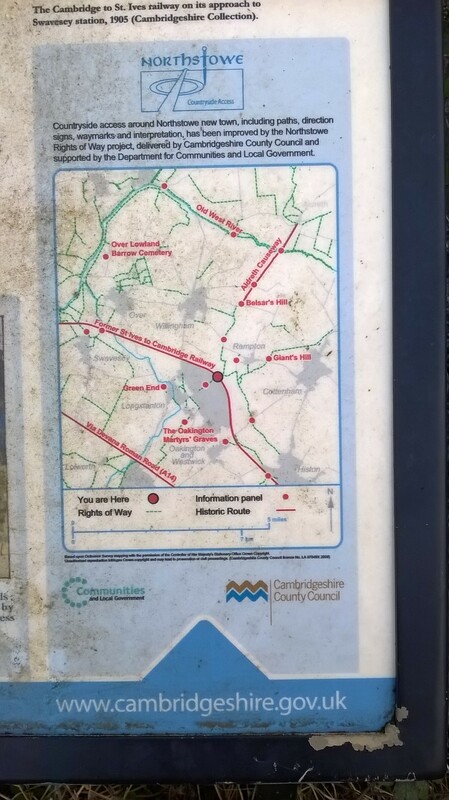 It is possible to detect some of the Roman waterways constructed in the Cambridgeshire fens. 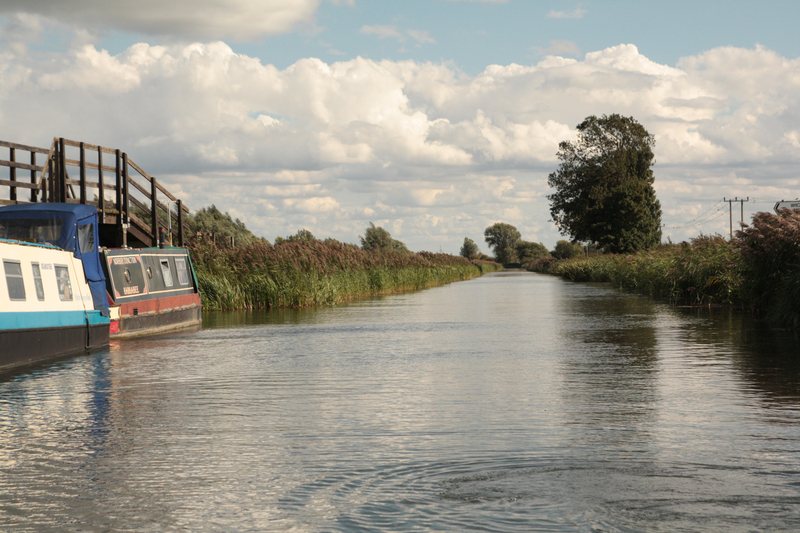 One of the more easily accessible is Reach Lode that can be visited from National Trust Wicken Fen on their boat the ‘Mayfly’ (via Wicken Lode). Reach Lode joins the river Cam at Upware. The classic study is by C.W. Phillips (ed. ), The Fenland in Roman Times (London: The Royal Geographical Society, 1970).